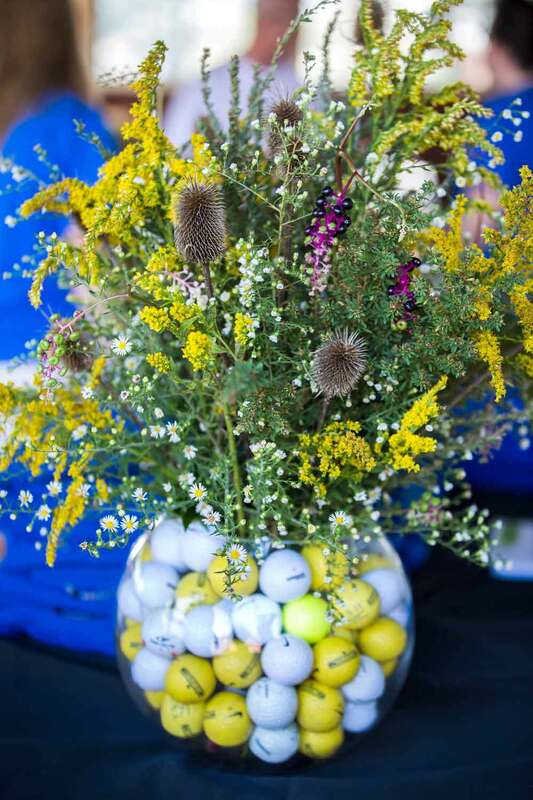 The annual Denton Golf Tournament is the primary fundraising event of the Denton Family Charitable Foundation. The event is held at Lakeview Golf Club, east of Harrisonburg, with beautiful views of Massanutten and the Valley. By participating in the tournament, you are helping our community distribute resources focused on charitable organizations in Harrisonburg and Rockingham County. The spreadsheet below shows proceeds and recipients since 2002. Form a team and enjoy a day of fun and networking. Eighteen holes of golf at Lakeview Golf Club, a cart for you and your partner, beverages served throughout the day. Lunch and dinner are included, see typical day details below. Golfers go home with a gift bearing the Denton Family Charitable Foundation logo and lots of memories from a great day in a beautiful setting. Buy raffle tickets (available now and at the event) to win prizes. Raffle prize packages will be on display during lunch and dinner. Come prepared to have a winning day! Local businesses and merchants support our efforts through donation of exceptional raffle prizes. Consider the options over lunch and enter as many times as you wish. Raffle tickets are $5 each. There are lots of prizes to win and you are bidding only against other golfers. 11:00 – 12:30 pm — Golfers arrive to register and enjoy catered lunch donated by Mr. J’s sandwiches including chips, apples and drinks. This is the perfect time to bid on raffle prizes (see photo). 12:45 pm — Teams gather at the carts (carts are provided). 12:55 pm — The hosts say a few words about the recipient of Tournament proceeds. 1:00 pm — Shotgun start, rain or shine. 1:00 – 5:00 pm — Captain’s Choice Fall Golf Classic takes place. 5:00 – 6:30 pm — Golfers enjoy a steak dinner catered by Mama’s Caboose, awards ceremony, tournament results and good cheer. Beverages served thought the event. Big Brothers Big Sisters of Harrisonburg-Rockingham County is the beneficiary of the 2019 Tournament. Learn more about Big Brothers Big Sisters and their mission. Golfers enjoy lunch donated by Mr. J's Bagels, beverages throughout the day, 18 holes of play, dinner and an awards ceremony following the tournament. The Denton Family Foundation is a charitable organization, 501(c)3, tax id #: 54-1349360. All donations to the Foundation are deductible as charitable contributions to the full extent of the law.